It’s one of the biggest price cuts to hit the ultra-luxury market so far this year. Kushner Companies has relisted Penthouse 1 at 293 Lafayette Street for $42.5 million, according to the Wall Street Journal. That’s a 36 percent drop from the original listing price of $66M in 2015. 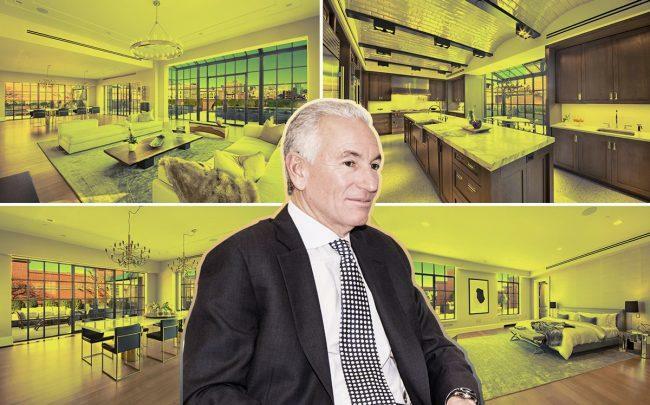 It’s the last unit still available in the Puck building, which was bought by Charles Kushner and other investors in 1986, and later developed into six luxury apartments by his son Jared Kushner, who’s now senior advisor to President Trump. The roughly 7,240-square-foot duplex apartment has five bedrooms and seven-and-a-half bathrooms. If it trades at listing price, it would sell for $5,870 a square foot, a premium for the area. After failing to find a buyer when it was first listed, the apartment was rented by a hedge-funder for as much as $150,000 a month, according to the Journal. Karen Zabarsky, a spokesperson for Kushner Companies, told the Journal that the current rental tenant has been paying $1.25 million a year. Adam Modlin of the Modlin Group now has the listing.